The Mercyhurst Institute for Art & Culture will screen The Met: Live in HD broadcast featuring "Tristan und Isolde" in the Mary D’Angelo Performing Arts Center at noon Saturday. This tragic tale is the love story of two people who drink a potion that is designed to kill them but actually makes them fall in love. Ultimately, only Isolde can use her magical healing abilities to save Tristan – but the audience is left in suspense to learn whether it is too late. Richard Wagner wrote the original opera about love and death. This opera has a unique role in opera, with its astounding, infuriating and inspiring music. The title roles are known as some of the most demanding in opera. The music features symphonic scales for the orchestra, vocal challenges, and mysterious elements in the story, giving directors opportunities for creative visual design. 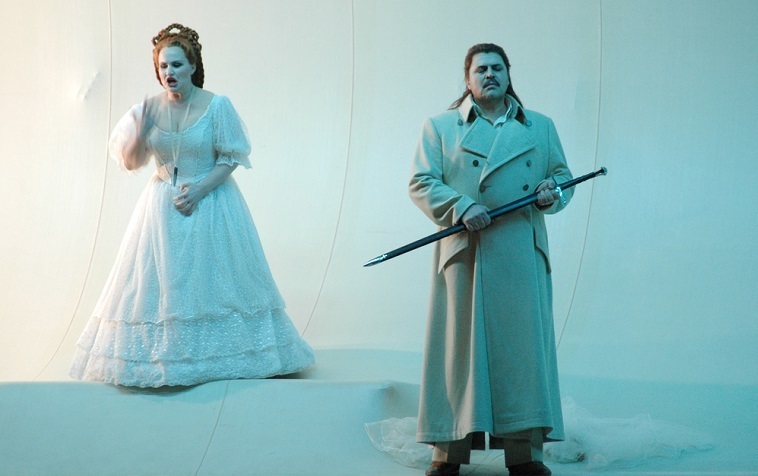 Mariusz Treliski directs this 2016-17 Met season version of "Tristan und Isolde." It features Stuart Skelton (Tristan), Nina Stemme (Isolde), Ekaterina Gubanova (Brangane), and Rene Papeas (King Marke). Sir Simon Rattle conducts the orchestra throughout this rare appearance. Tickets are available online and over the phone, and range from $10 to $18.